« Have You Backup Your WordPress Database Recently? It's a bad news. 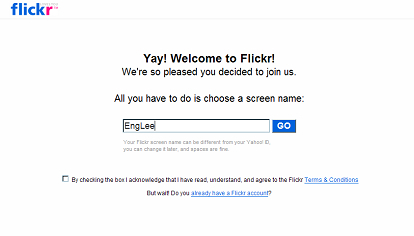 The good news is when you need only 4 clicks to move to Flickr! 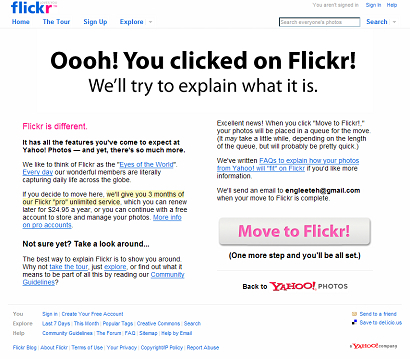 Click #1: Click on the Flickr logo (at bottom left) once you logged on to Yahoo! Photo. Click #2: Click on "Move to Flickr!". Click #3 and #4: Click on the checkbox to accept terms and condition, then click "Go". 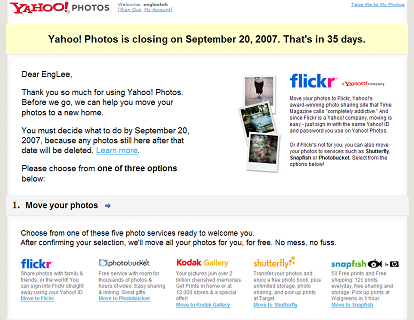 After that, wait for Flickr to mail you when they have finished tranferring your photos from Yahoo! Photo to Flickr. Update: Just got Flickr's email telling me that photo transfer is complete. Took approximately 2 hours to transfer. I suppose Yahoo! admitted their system is inferior to flickr.